The name of this product may bring to your mind a strong association with the banned prescription diet drug named Acomplia, since the two names sound very much alike. 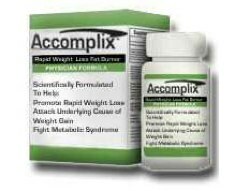 Having mentioned the banned Acomplia, it evokes memories of Ephedra another banned weight-loss pill, which was incriminated for psychiatric episodes and heart disorders. Accomplix seems to be a good name for a slimming product, as it can be easily related to success, and this is probably the reason why it is thought to be the hottest weight loss product in America. However, despite its appeal, there are several other similar slimming products in the US that are associated with this term. Accomplix seems to be a flourishing slimming product, and it is the new trend in weight loss on the other side of the Atlantic. But its composition is rather simple, and the substances used in it are the same substances that are used in so many other slimming products. In fact, there is nothing new in Accomplix. Cinnamaon Bark – A very common substance which is known to decrease the levels of sugar in the body. Green Tea – A very common ingredient with antioxidant properties that can be found in almost every slimming product on the market. Guarana – A kind of berry, grown mainly in Brazil, with energizing properties.Very similar to caffeine. Gugglesterones – These substances come from a plant called Gum Guggul, and they can stimulate the thyroid gland which helps increase metabolism. They are also helpful in the battle against cholesterol. There is one more active ingredient in Accomplix and this is Hoodia Gordonii. Hoodia Gordonii is a plant that looks like a cactus and grows in South Africa. It has a bitter taste but local people love eating it. It increases energy levels but it decreases appetite. A lot of slimming products use Hoodia in their composition, but in order for this substance to be effective, each capsule needs to contain at least 400mg of raw powder. Actually no. Consumers have not reported or mentioned any side effects apart from a feeling of restlessness or some light sleeping disorders, which are common in most fat burners. It is quite doubtful that Accompix really works. 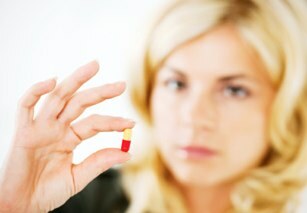 This could probably be because of the low amount of its active ingredients contained in each capsule. On the official website of the product there is a 30-day guarantee for positive results. US consumers rarely think of asking for a refund, and it is certain that UK customers won’t be thinking of the guarantee when buying it. The official website appears to be the most obvious. It is highly unlikely that it will be sold in high stores such as Superdrug or chemists such as Boots. Are There Better more Effective Alternatives? There are several non prescription diet that are incredibly effective and popular in not just the UK bu the world over. Phen375 for example is the legal alternative for the prescription only Phentermine – arguable a far superior option. All slimming products we recommend are guaranteed and a money back peace of mind refund.